I took five lessons with Weena over the space of around one week, whilst on holiday in Chiang Mai. After even just a couple of sessions, I was amazed at how my flexibility was improving. I exercise regularly, so was keen to do energetic routines – and they really did challenge me! Through one-on-one classes, I was able to get lots of feedback and repositioning to show me exactly where my body needed to be in each pose. I now feel that I will be able to practice this on my own, especially using the pictures that Weena made of me in each pose, to help me remember each of them! Thank you for introducing me to Yoga. I have had a significant amount of success with the lifestyle. As per your request, I checked my weight upon arriving back in the U.S., and I have lost an even 21 pounds. I am feeling better with this program than other exercises by far. Those little aches and pains subsided, and I am feeling healthier in both mind and body. For those reading this testimonial, the advantage of what Khun Weena teaches is more than getting in shape. The breathing and meditation exercises allowed me to control my emotions as well. I have significantly curbed my stress level with Weena’s techniques. Weena as an instructor is patient, interactive, and expertly skilled. After a few minutes with her, the fact she loves teaching and yoga becomes obvious. I received nine lessons from Khun Weena, and that limited amount is proving to be a life changing event. The program was specifically tailored to my needs. Weena knows exactly how far to push the student to provide success while keeping the training sessions fun. I look forward to returning to Chiang Mai, and receiving additional lessons from a master like Khun Weena. Take care and thanks for everything! After completing my 20th class at Yogasala I just want to say, Thank You. Having practiced yoga in the past, I knew I missed it in my life but I was a little nervous about getting started again. I walked into your Nimmanhaemin studio a few months ago and met the amazing teacher, Weena. Weena immediately put me at ease and encouraged me to attend a class that worked with my schedule. After I had completed my first class with Weena, I was hooked. She teaches with integrity, confidence and warmth. She is able to motivate her students with grace and sincerity while maintaining a sense of humour. Weena has helped me to continue my yoga practice with consistency and I am grateful for her guidance and support. Now I cannot imagine a day passing without practicing yoga and I have Weena and Yogasala to thank. "I first started Yoga with Weena, while living in Sriwalee, and trained three days each week. 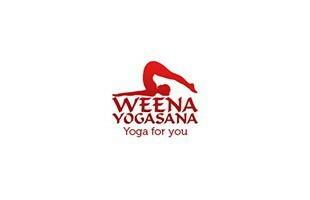 This was my initial exposure to Yoga and was very encouraged by Weena's being friendly, as well as polite. Weena is a good teacher and I began seeing a difference in my body as well as being mentally relaxed. When Weena opened Chang Mai Yogasala, I doubled my training and now visit the studio six (6) days each week for 1 & 1/2 hours of training. Weena is eager for her students to improve, and offers good cheerful encouragement to us. I feel that my body and mind will be in peek condition after training one year at the new studio Weena's yogasana , and intend to keep training under Weena for many years in the future". Weena has me standing on my head. What more can I say about her…She is patient, delightful, and a wonderful kundee. Her advice on my breathing (pranayama) has been particularly helpful. Thanks Weena. My practice will always remember you, no matter where I am. It’s so good to have a little message from you!! I think often to you, when I practicing my yoga, when I need to stretch more and more I imagine your voice "...and eight!...good, superman to day! "....did you receive my pictures of us, I am working in a small village in the mountain, in a therapies centre for the arthritis, I am always in contact with Thailand for teaching French but it’s longer to prepare...I hope to see you again take care of you.